Mountaineers campers recently enjoyed an overnight camp at Meany Lodge. In addition to new snow skills, they learned a lot of important life skills. After four adventure packed days at The Mountaineers Meany Lodge, it was time for the seven campers to head home. The kids, ages 7 to 10, ran into hugs from their parents with huge grins on their faces. They instantly began to list all the fun memories they made at camp. 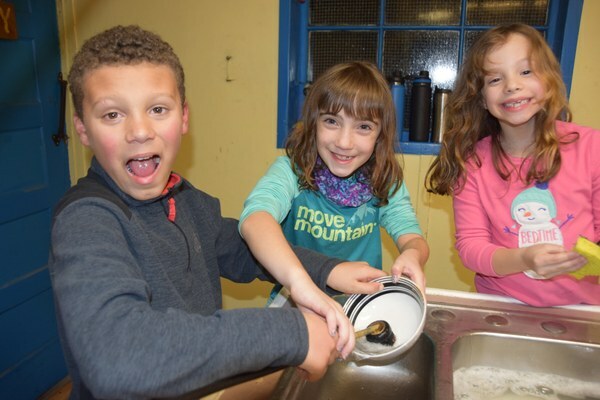 "We went sledding, we built a snow fort, we learned to snowshoe, the lodge food was incredible..." Surprisingly, one of the loudest, most frequent, and incredibly enthusiastic proclamation was "DOING DISHES IS FUN!" Exchanging both puzzled and comical looks, parents and counselors found it odd that after four days in the mountains the most memorable activity involved washing dishes? Apparently even the most mundane chores can be fun at camp. Each of our Mountaineers youth programs strives to safely provide positive outdoor experiences. 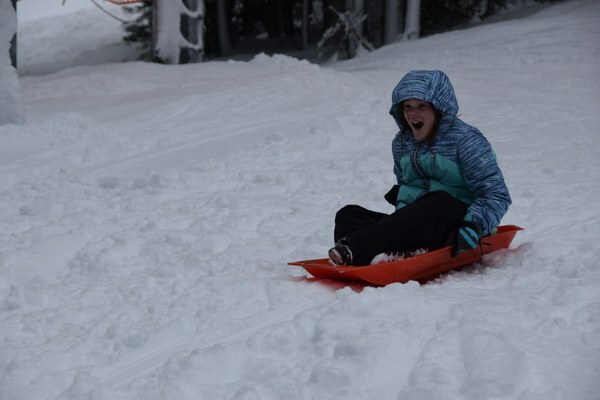 For this specific camp, counselors hoped campers would learn new snow-based activities. Little did we know that we would be teaching campers a lot more than just how to safely recreate in the winter. Campers learned to get out of their comfort zones, as this was the first sleepaway camp for multiple campers. That alone pushed the kids to embrace the unknown of being away from home. Many hadn't been snowshoeing before the program and we spent a morning learning about this winter activity. 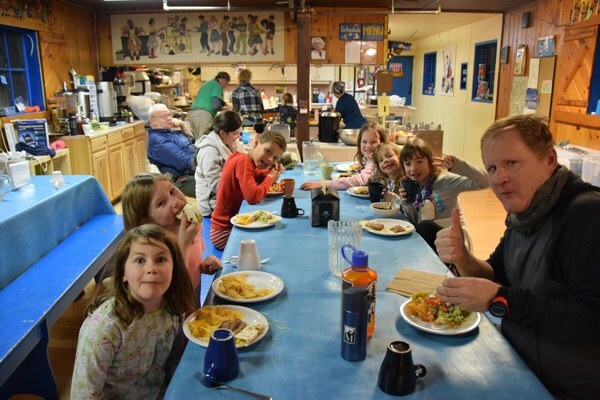 All of the campers tried new food (side note: if you're looking for amazing meals, spend a weekend at Meany Lodge!) and helped out in the kitchen. The counselors encouraged and supported the kids as they tried new things in a place they had never been before with people that just met. What a way to practice expanding horizons! 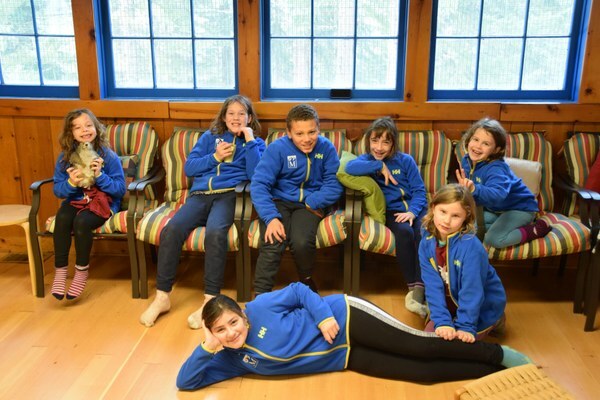 Campers had to share everything: the bunkroom, snow gear, games, ideas, meals, etc. The kiddos all got very used to sharing gear with each other. 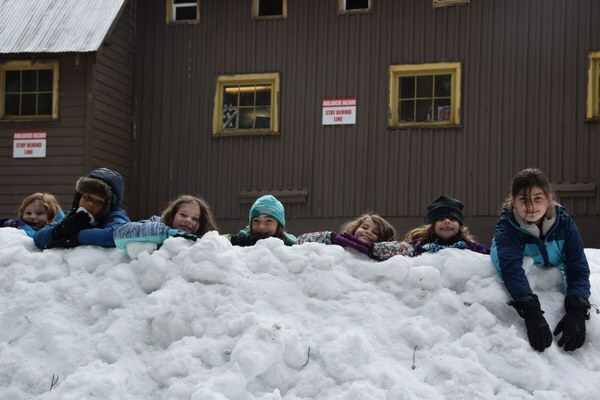 The first sledding experience was a little rough negotiating use of the double toboggan and the solo disks, but by the last day of the camp, campers were sharing shovels to build a snow fort with ease. Since the group was together for every activity, teamwork was a constant. 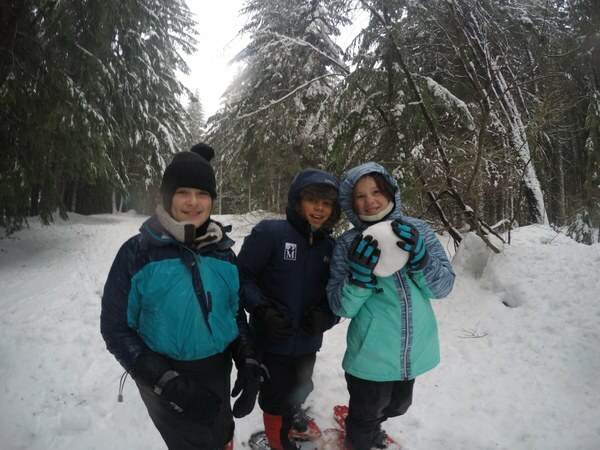 Campers who were excited to get outside quickly learned that helping other campers find their snow gear was in their best interest. Before the counselors knew it, getting geared up was a group effort, with a flurry of gloves, hats, and boots being passed around to their respective owners. On one such outdoor excursion, campers worked together on a snow fort and learned about compromise. Where is the door? How big will it be? How tall are the walls? Is there a slide? Who's building what? After a morning of collaboration, campers celebrated a successful team effort with mugs of hot chocolate in their solid snow fort. This group got an extra dose of patience and flexibility too. The camp was originally scheduled to last two nights, but due to an I-90 road closure our adventure was extended from two days to three! While we shared some concerns about getting home, campers quickly settled in and enjoyed another evening of playing games , crafting, and sharing camp stories with each other. Beyond learning the skills of how to snowshoe, properly layer in the winter, practice Leave No Trace principles, and safely recreate in the winter, there were many life lessons learned at Snow Camp. Trying new things, sharing, teamwork, and patience were just a few. Oh, and of course, that doing dishes can be fun. The Mountaineers offers camps for participants ages 6-14. We host break camps, summer day camps, and overnight adventure camps. For more information on Mountaineers Youth Programs, please visit www.mountaineers.org/youth or contact Katie Love katiel@mountaineers.org.